The Guide to the Natural Thames is a “work in progress”. We shall be grateful for additional corrections and information. 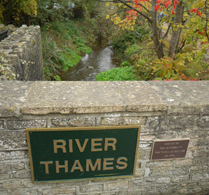 We have tried to make the guide accurate, but neither the River Thames Society nor the Thames Rivers Trust can accept any liability for loss or damage that might result from the guide. managed for conservation and wildlife. the river itself changing in character along its 215 mile (344 Km) length. Many places can be reached by the Thames Path (part of the wildlife corridor) or other riverside paths, and some by boat. We advise you to check with maps, handbooks and other websites before you visit each site. 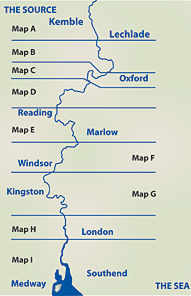 One of the best maps, for value and simplicity, is new: the AZ Adventure map for the Thames Path, published in 2013 by Geographers’ A-Z Co. Ltd., cost £7.95. This is based on Ordnance Survey 1:25 000 scale maps and is ideal for walking by the Thames. We have written a book “Exploring the Thames Wilderness” about the project, with maps and suggested walks that visit groups of reserves. 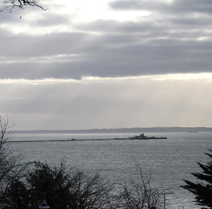 The chosen wildlife habitats are places where creatures and plants enjoy water and wet conditions, plus some with good views of the Thames that we love. We want to share with you the sense of green space and adventure that the river gives. Rejoice that so much of it is open to the public! Despite being fed up with rising bills, we can be a pretty reckless bunch when it comes to wasting energy. You could save money in loads of ways – some quick and easy and others more time consuming and costly, but all will save you money in the long term. A brand new boiler costs on average £2300 and can save as much as £340 a year in bills. British Gas, EDF, Npower and SSE all offer free or low cost boilers and installations if you meet the criteria. You receive tax credits or have bad credit. See this guide from No Hassle Mobile Phones. You can find out if you qualify by contacting the Energy Savings Trust on 0300 123 1234. Check out the Government Green Deal where after a paid assessment (around £150) you could claim cashback for energy saving improvements you make to your home or business- it’s first come first served though so be quick! Look for this logo when replacing your electrical or white goods, as it shows that the product is more energy efficient. Turn the thermostat down 1 degree and SAVE on average £70 a year! Turn off appliances rather than keeping them in standby mode and SAVE on average £35 a year!